Hey guys! I know we’ve kinda dropped the ball this week on Wearable Wednesday. We’ve been super busy, yo! We promise to have it up this coming week though. 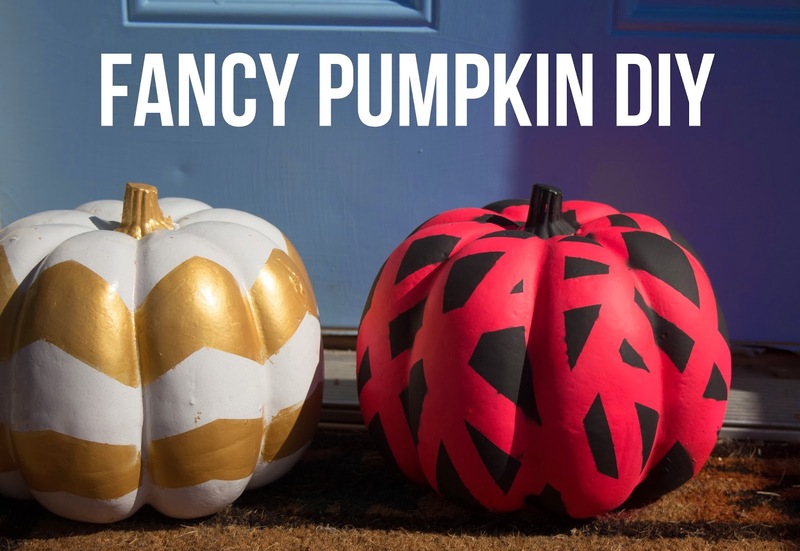 We also have this sweet pumpkin DIY for you! 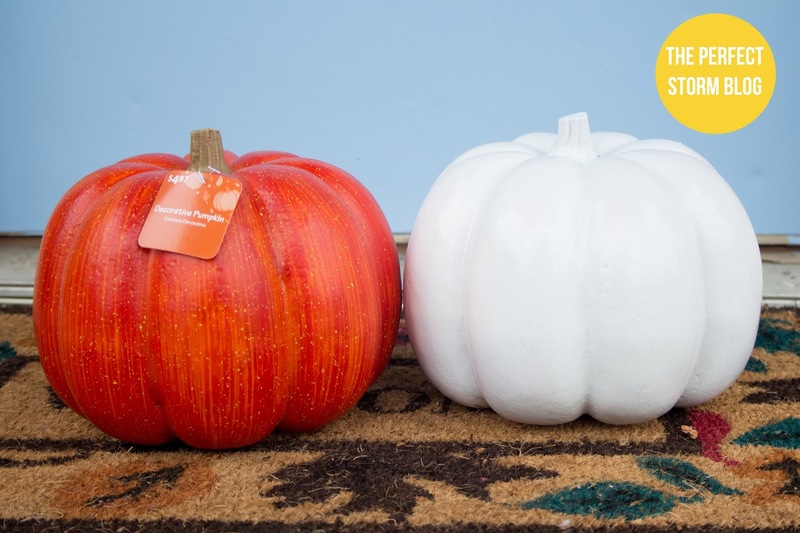 We started with these decorative pumpkins from Walmart (they were only $4.97) and spray painted them. I did mine white and Sara did hers hot pink. You might have to do a couple coats to get it all even. 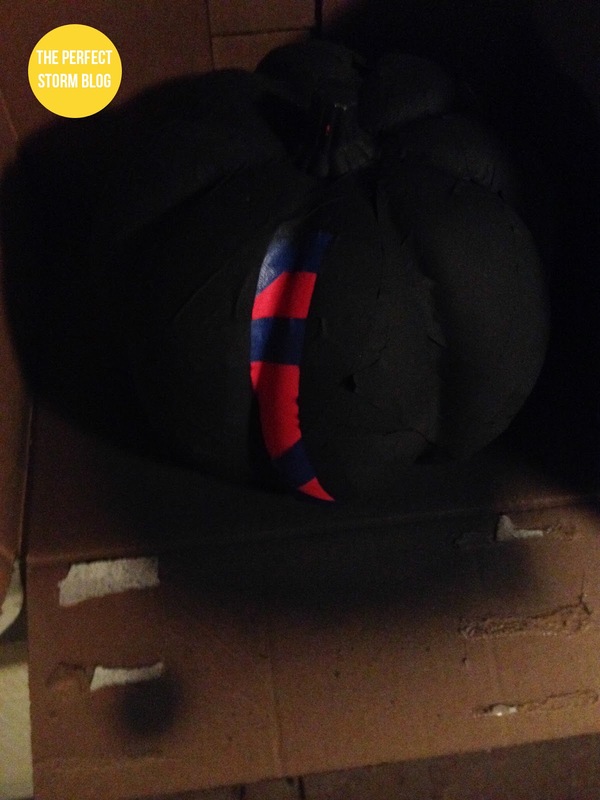 Once you have your pumpkin colored the way that you want it, sketch out your design and put some painters tape on the edges so that you get everything all neat and tidy. 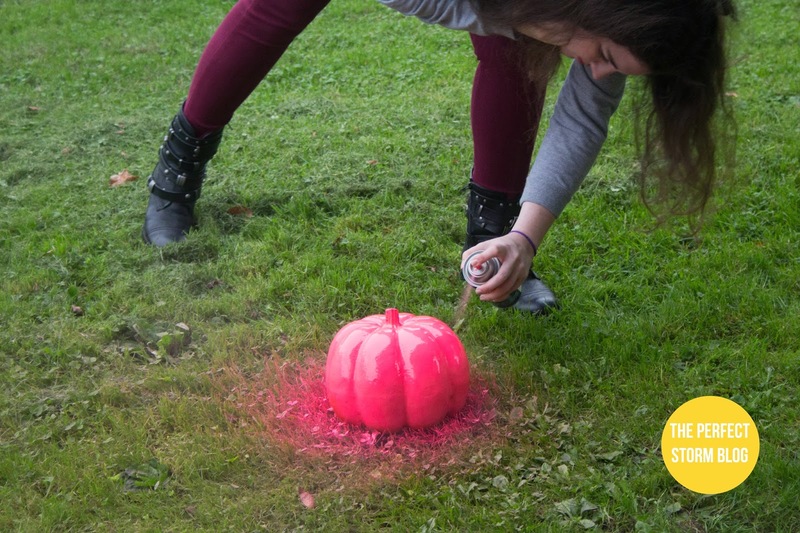 Then paint your design, or in Sara’s case, spray paint with your other color. 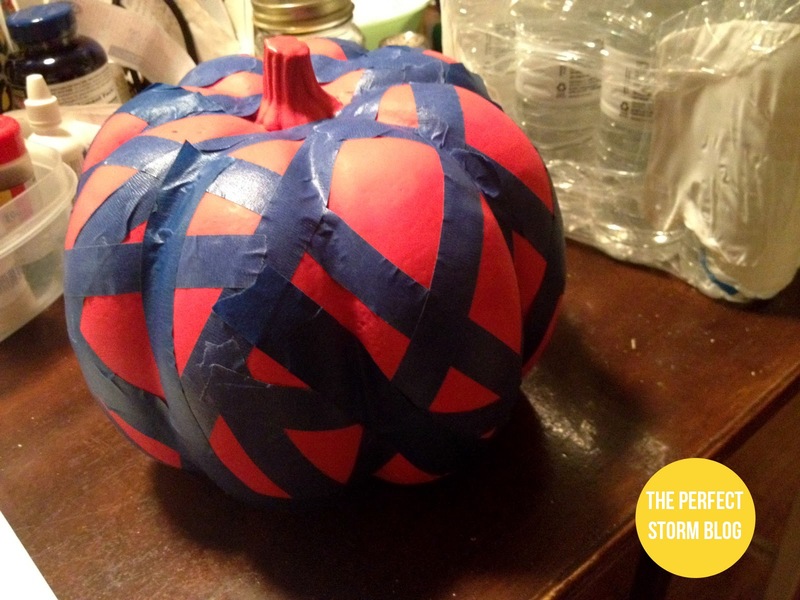 Peel the painters tape off and look at your beautiful creation!!! 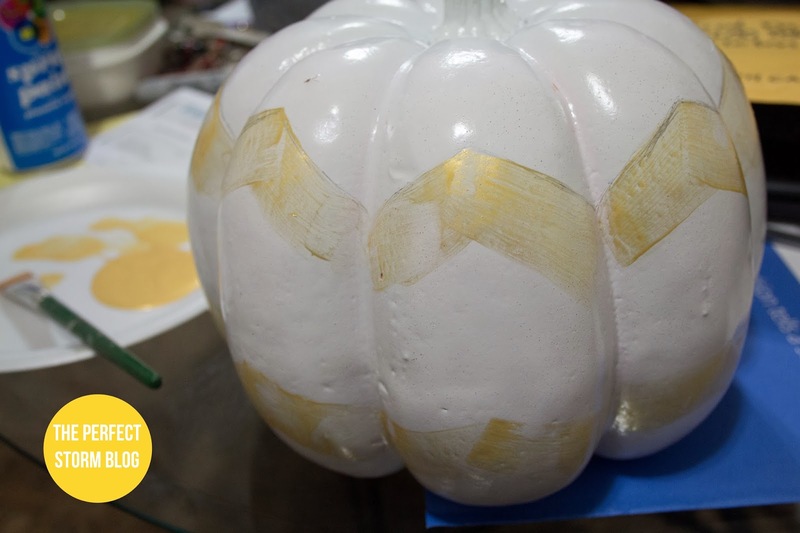 You can also try a lot of other designs, and just really have fun making some unique, modern, pumpkins! I love this idea. I will have to show it to my son. We pick our pumpkin designs together. Thanks for sharing. Looks like fun. Awesome! We're glad you like them! Definitely! You can make it however you want! 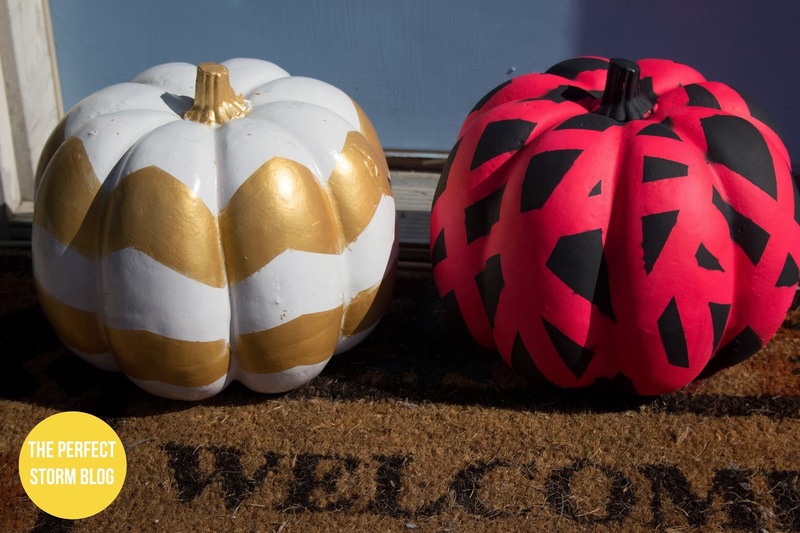 Love these ideas of non traditional pumpkins! Thanks for sharing at the Inspiration Spotlight party. Pinned & shared. So much fun, thanks for sharing on craft schooling Sunday! 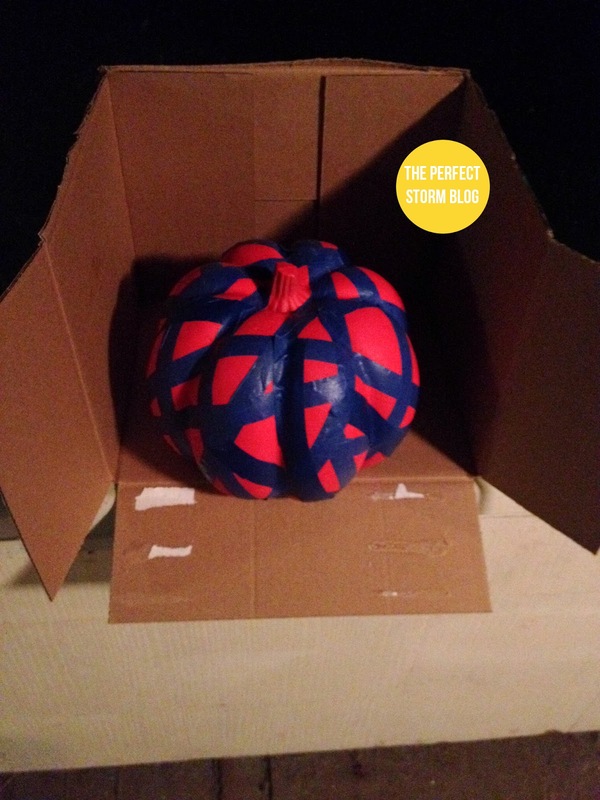 I love unique pumpkin decorating ideas! So cute!